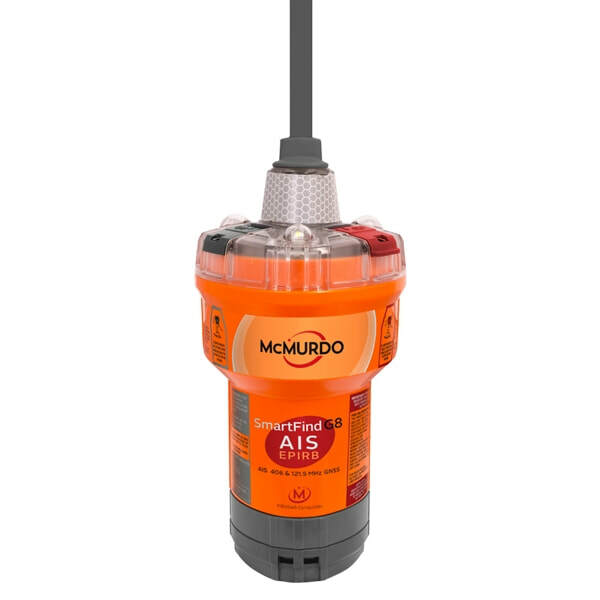 The McMurdo SmartFind G8 is the world’s first EPIRB to include 406MHz, 121.5MHz, and GNSS (better known as GPS) to accelerate search and rescue. The unique power of this beacon is in the flexibility and additional tracking capabilities long demanded by maritime customers. MEOSAR Compatible for faster Alert detection. Four search and rescue frequencies (406MHz, 121.5MHz and GNSS). Multiple GSS (GPS) receivers for faster more accurate location detection. Compliance with the new United States emergency hands free transport mandate.